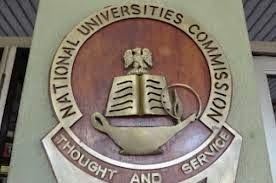 The Executive Secretary of the National Universities Commission (NUC), Professor Julius Okojie, says all certificates obtained by Nigerians from foreign universities would now be screened. He told journalists on Thursday, after the presentation of licences to two new private universities, that a committee has been set up to handle the task of screening those certificates. The screening committee comprises of representatives from the Federal Ministry of Education and the National Universities Commission (NUC). “Some of our students who attended universities in Ukraine pass through the UK and get a second degree, in some countries, you can buy a certificate in the airport,” he said, while expressing concern over the authenticity of the certificates issued in some European and African countries. He noted, however, that the decision was not to say that all foreign universities were bad but there was need to ensure that Nigerians seek to attend the good ones. Professor Okojie said that the certificate presented by graduates who come back to the country for the National Youth Service Corps (NYSC) would be subjected to screening by the Education Ministry.